APEX Recovery differs from other treatment facilities in it’s offering of advanced and highly trained clinical staff and counseling care. APEX uses this counseling to help assess, assist, and motivate prospective clientele into appropriate levels of clinical care within the APEX treatment program, or to assist with meaningful referrals in the community. APEX offers a free counseling session to any and all potential clientele or family members, to better prepare and understand the individual needs of each prospective client. This helps individuals overcome the often confusing navigation of the addiction treatment system. By meeting with one of our specialized and highly trained therapists, proper introduction and placement within one of our 5 accredited levels of care is easy, understandable, and comfortable for all that are involved. If outside support, counseling or referral placement is indicated, our addiction therapists are able to assist as no charge. Community Support referral for those needing placement outside the coverage of APEX. Current strengths that each client or family has in helping them overcome addiction. Understanding and education about ASAM’s levels of care and how their treatment will fit within the framework. What is required to help prepare for the changes that occur within a rehab and how to assist with needs at discharge. 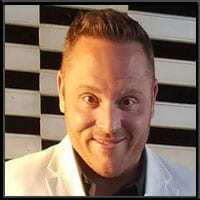 Dr. Matthew J. Bruhin is the Chief Executive Officer of APEX Recovery. Along with Co-founder Fred Bowen, Dr. Bruhin utilized his experience in the creation of high-end rehabs to construct a facility that was cutting-edge and affordable, yet lacked nothing. His vision, eye for detail and desire to lead have created an unparalleled vision for treating additive illness coupled with mental and emotional disorders. Dr. Bruhin treats every staff member and participant like family and hopes to bring his clinical and administrative vision to many. 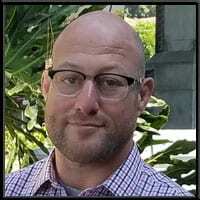 Dr. Bruhin is a State of California Board of Behavioral Sciences, Licensed Marriage and Family Therapist as well as an Addiction Specialist registered by the Breining Institute. Dr. Bruhin earned his Doctorate in Addiction Psychology, has a Master of Arts degree in Counseling Psychology, and holds a Bachelor of Arts degree in Psychology, with a Minor in Addictive Disorders. Additionally, he holds many other certifications and has tens of thousands of hours of clinical and training experience. Dr. Bruhin has a diverse clinical training background, working in the mental health field for over 12 years. He specializes in the treatment of addiction and has specialized experience and clinical training in the treatment of prescription addiction, sexual addiction and gambling addiction. He works with many individuals and families ranging from the chronically, mentally ill, to high-level professionals, professional athletes, executives, and Hollywood film producers and TV personalities. He has developed his own specialized and effective techniques for the treatment of addiction and chemical dependency. Dr. Bruhin loves to write, blog, and he appears regularly on network TV as a leader in the addiction field. He has worked with clients from A&E’s hit TV show Intervention, as well as the Tyra Show. Dr. Bruhin also performs local TV segments in order to get the public educated about addiction, and to break down the stigma of mental health issues. Dr. Bruhin balances his passion for work with the love of his family, enjoyment of travel, and his vintage Star Wars collection, which can be viewed in his private office. 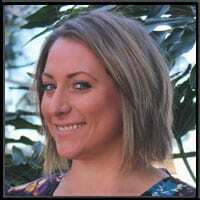 Mallory is a State of California Board of Behavioral Sciences, Licensed Marriage and Family Therapist and clinical supervisor with a decade of experience working in mental health. 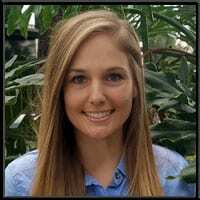 Mallory’s clinical experience includes inpatient, outpatient and private practice work with individuals, couples and families and includes program development of a residential facility serving chronically and severely mentally ill individuals. Her unique experience with this population further expanded her approach and ability to create a comforting and therapeutic environment for individuals as they navigate the various challenges. She focuses on increasing mindfulness of current situations and emotional experiences to help her clients meet their goals and created more meaningful interactions. While completing a Masters in Marriage and Family Therapy at Alliant International University, she focused on treating Substance Abuse as well as Couples Counseling. Additionally, her work with individuals suffering from depression and anxiety as well as issues of domestic violence shaped her philosophy in treating individuals and couples through focusing on emotions and the role of attaching to others. She believes it is through this focus on emotions and attachment that significant and long-lasting change develops. Mallory’s passion is for people and their relationships. She has a deep interest in helping people achieve their potential and it is her goal to empower individuals as they search for connection, intimacy, love, and success. By helping people find the tools to cultivate their unique skills, Mallory believes we can find hope and fulfillment to overcome the struggles of everyday life. 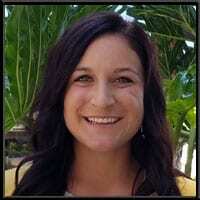 Holly is a registered Marriage and Family Therapy Intern at Apex Recovery. She is passionate about walking alongside her clients as they journey towards personal wellness and engage in their communities. Holly has diverse clinical experience, including extensive work with individuals and families seeking support for addiction treatment and mood disorders, as well as with those caring for a loved one near the end of life. Holly received her B.A. in Psychology and Business Administration from Indiana Wesleyan University and completed her M.A. in Counseling at National University. She utilizes a Family Systems approach to therapy coupled with CBT and Motivational Interviewing techniques. She also has additional training in EMDR (Eye Movement Desensitization and Reprocessing) and EFT (Emotionally Focused Therapy) which allows her to tailor her work to clients to their specific needs. Joshua is a trainee at Apex Recovery Rehab Facility. He holds a B.A in Liberal Arts from The University of Florida (2008) and will receive his Masters in Counseling Psychology from National University in 2018. Joshua’s life experiences and career as an artist, designer, athletic coach, educator and student advisor have all led him to the helping professions. Joshua naturally has an Existential and client-centered approach, with meditation, mindfulness, physical activity, nutrition, and other holistic interventions essential to healing and prospering. Joshua is an active Brazilian Jiu-Jitsu competitor and coach, lover of comedy and podcasts, and enjoys walking his three dogs. Tatiana is a registered Marriage and Family Therapy Intern at Apex Recovery. She received her B.A. in Psychology from Loyola Marymount University and completed her M.A. in Counseling at National University. Tatiana has over 7 years of experience in the mental health field, which includes severe mental illness, addiction, developmental disabilities as well as individual and couples’ counseling. Tatiana strives to create a safe environment for her clients. She adores animals and enjoys movies, music, photography, yoga, and spending time with loved ones.